Sarah Tipton with Willow Wind Photography speaks with Audrey Harris and Micah Faber about shooting their wedding at the Chattanooga Bridal Show Sunday, July 29, 2018 in Miller Plaza in Chattanooga, Tennessee. Tipton of Blue Ridge, Georgia, shoots family portraits, newborns and weddings. 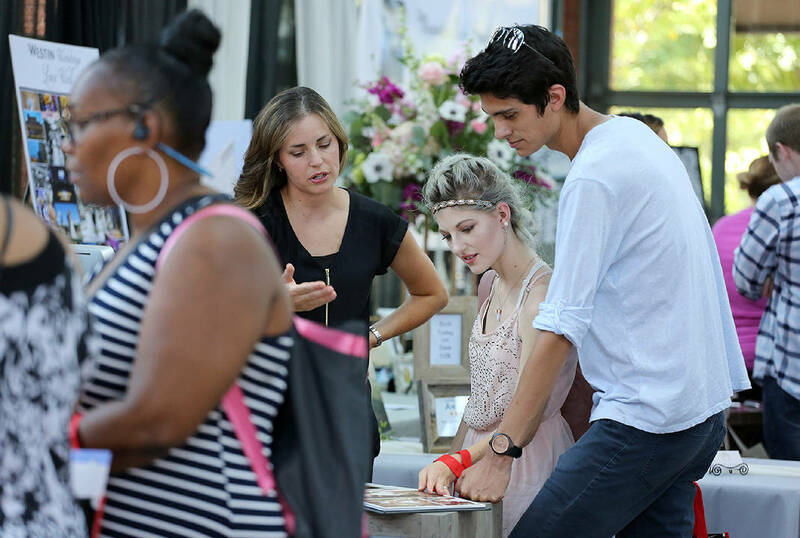 About 40 vendors and 600 brides were registered to be at the Chattanooga Bridal Show in Miller Plaza Sunday, July 29, 2018 in Chattanooga, Tennessee. Vendors included photographers, caterers, DJs, designers and more.